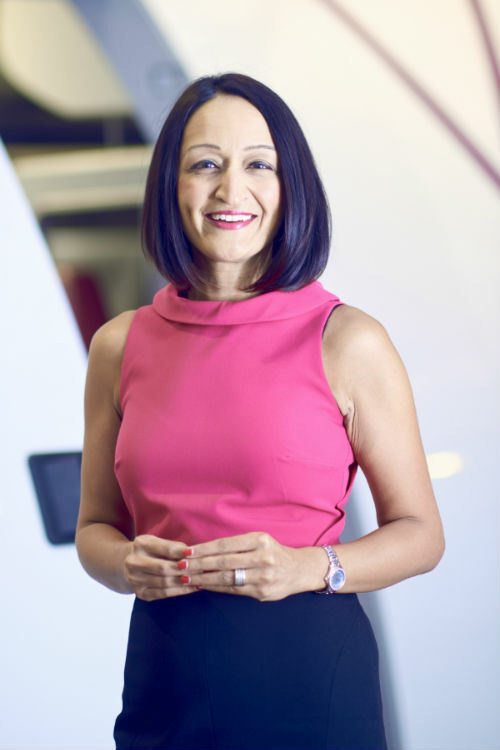 Sumati is VP, Special Projects at Virgin Atlantic and Co-Chairs the Women in Aviation Charter Steering Group. She advocates CAs using their skills and reputation to drive positive change and influence the future of their environment. Continue the conversation with Sumati on Twitter and LinkedIn. As a CA, I believe that embracing our platform and responsibility to influence positive change for others and society is truly empowering. From my earliest years growing up in France, to becoming a CA at Ernst & Young in Edinburgh, through to recently achieving a senior commercial position at Virgin Atlantic, I have worked and pushed myself hard, focusing closely on progress and resulting achievements. I embrace the unique opportunity the gender pay gap reporting has provided this year to begin real and meaningful conversations. In the last couple of years, I have been closely following the increasing coverage and commentary on diversity gaps, whether based on gender or on ethnicity. Both in senior management roles and in specific industries such as finance and aviation, it's a complex yet fascinating area. In the UK and around the world, the gender pay gap has become a regular staple of the news agenda in recent months. Specifically, companies in the UK with over 250 employees, published their gender pay gap data earlier this year and provided context around the results. As a CA who loves nothing more than data leading to insights, I embrace the unique opportunity afforded by gender pay gap reporting to begin real and meaningful conversations: What drives these results? How we can begin to design long term solutions to change them? The power of having a non-emotional dialogue on this complex and multi-faceted topic - enabled by publicly published facts and figures, with easily benchmarked data - cannot be underestimated. Anything you measure will impel a person to optimise his or her score on that metric. What you measure is what you’ll get. Period. Human beings adjust behaviour based on the metrics they’re shown and reported against. Earlier this year, I was proud to be part of the team that helped to set up the ‘Diversity and Inclusion Steering Committee’ at Virgin Atlantic. Our pay gap isn’t as good as we want it to be but we know the unique factors that lead to it in our industry. Gender pay gap reporting has been a fantastic catalyst for us to think: How do we move forward? We are currently developing strategic targets to 2022 both on mix of men and women in leadership and BAME [black, Asian and minority ethnic]. Both of those targets are being refined, and our ambition is that it will represent a material improvement - directionally moving towards a 50% improvement on today. The power of male advocates is quite high because this isn’t just a one-gender conversation; it’s not just women who need to be talking about it. The support of senior leadership is so important. Our CEO, Craig Kreeger, is the sponsor of our Committee, and he is extremely passionate about it. Shai Weiss, who is set to take the helm of CEO in January 2019, and my current boss as Chief Commercial Officer, is also a huge advocate. My first priority at the airline is the responsibility that comes with being VP Special Projects and successfully launching an expansion of our Joint Venture with Air-France KLM & Delta. However, I increasingly realise that my privileged position as a CA gives me a personal obligation to consider how I can help and support others with the unique platform I have as a senior woman in Aviation with an ethnic minority background. Inspired by the Women in Finance Charter launched in 2016 and led by Virgin Money, I was part of the push for Virgin Atlantic to be a founding signatory on the Women in Aviation and Aerospace Charter, launched at Farnborough Air Show in July 2018. Providing a pledge for gender balance across aviation and aerospace, organisations that sign up to this Charter are committing to be the very best at driving diversity and inclusion within their sector and providing fair opportunities for women to succeed at the highest levels. It proudly now has over 60 signatories, and the charter approach has been a proven and innovative way to influence change wider than just one organisation, as so many issues are systemic. Since September 2018, I’ve taken on the role of Co-Chair of the Steering Group for the Charter alongside Katherine Bennett of Airbus, working to share best practice, enable networking, engagement and discussion on gender diversity, and finally driving the Charter with the signatories in our industry. Facilitating the first meeting and discussion with so many inspiring leaders on Monday 24 September at the Royal Aeronautical Society in London (pictured above) was a huge privilege and honour for me. 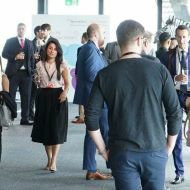 This year has been a significant shift for me as I've become increasingly aware of the wider influence someone like me can have to impact change for good, in our business but also externally in the industry and for society as a whole. 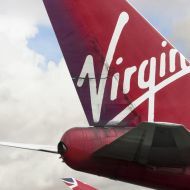 Aviation has to tackle these same societal challenges and Virgin Atlantic is no exception. We are a very innovative airline, but this is a bigger issue than just us. For example, well over 90% of pilots in the UK are male, and only around 15% of engineering and technology undergraduates are women. I strongly believe that in 15 years, when my son begins his working career, the conversation will be different for the next generation. It is well known that diversity of thought drives great innovation. Understanding the drivers and the reasons behind those big societal issues will not be fixed in a year but we’re moving in the right direction. Our unique industry means we can’t change things at a supersonic speed but we do have many initiatives taking off and more to come. I strongly believe that in 15 years, when my son begins his working career, the conversation will be different for the next generation. It is our responsibility to drive the change for the future, and as CAs, we are in a highly privileged position to lead the conversation and be the change makers for the ones who come after us.